Edward Snowden decided he would have a tryst with destiny but there is a reason why he has left his own fate in the hands of Russia. Like any good spy Edward Snowden must have choreographed his final escape a thousand times inside his head. It’s clearly paying off. For, right now there’s very little the NSA hounds can do to him either in China or Russia, which perhaps not coincidentally does not have an extradition treaty with the United States. Russia is also headed by Vladimir Putin, a former KGB general, and the one person on the planet least likely to hand over Snowden to the CIA. The flurry of activity at Moscow’s Sheremetevo airport suggests Russian intelligence is choreographing an elaborate charade to ensure that the NSA whistleblower has a safe landing in his final destination. The Chinese, inscrutable as ever, played along too. Initially, they said Snowden had left for Moscow on a plane, but right now nobody – perhaps not even the NSA – knows his whereabouts. To many the entire episode looked like the celebrity-out-the-backdoor game. Although no Russian officials confirmed he had arrived in Moscow, Russian security vehicles surrounded the plane when it landed, while plain-clothed Russian agents swarmed the terminal. The scene looked like the good old days of the KGB, with each Russian department playing its assigned role. Russian news agency Interfax reported that a Venezuelan diplomat picked Snowden up when he arrived. Aeroflot then told the Associated Press that he was registered for a Havana flight. The flight left Moscow, with dozens of journalists who will undoubtedly have a great holiday and no story. Contributing its own bit to the smoke screen around Snowden was WikiLeaks. The anti-secrecy group said on its website that he is bound for Ecuador “via a safe route for the purposes of asylum”. The maneuvers in Moscow will probably ensure that Snowden lives to a reasonably ripe old age. For, only the really naive would believe the Russians would allow Snowden to board a plane with a couple hundred co-passengers. Especially on a plane which would overfly the United States, and risk being force-landed. For all you know, Snowden could be on a nuclear submarine in Murmansk that’s preparing to sail to the Caribbean. He may even fly under diplomatic cover with a fresh passport. There are a hundred ways the FSB could think up to deceive the NSA and CIA. Snowden’s heart must have skipped a beat when Sergei Bout, the brother of convicted international arms trafficker Viktor Bout, called for Snowden to be arrested and swapped for his brother, who is serving a lengthy jail term sentence in the United States. Because he wouldn’t want to. Moscow and Beijing would be the perfect places for an American whistleblower to spend the rest of his life. Both cities would provide enough work to keep his super sleuth brain engaged. But such a decision would label him a traitor. Also, the US intelligence community is concerned that Snowden has intelligence value to Russia and China beyond the information he has already leaked. He knows about top secret communications intercepts, decrypted messages and other electronic intelligence, as well as vulnerabilities of communications systems and NSA workers. If he stays on in Moscow, he would be suspected of having passed on these secrets to his Russian hosts. 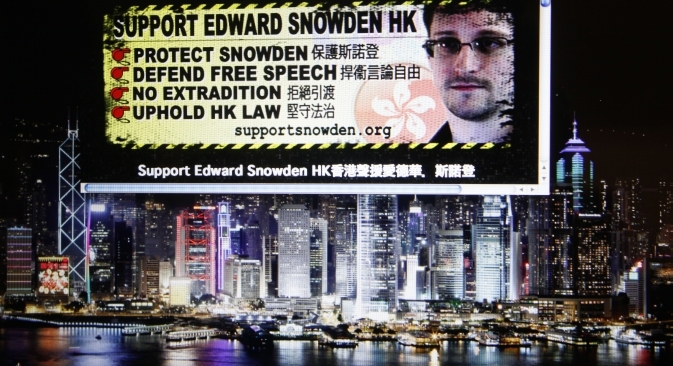 Snowden would surely like to go down in history as a hero of the people rather than a defector. Plus, by seeking asylum in a small country like Cuba or Ecuador, he remains a symbol of resistance against a global tyrant. As if the PR disaster wasn’t enough, the Americans are now on a threatening spree. The Russians should know “there will be consequences if they harbour this guy”, Lindsey Graham, a South Carolina Republican and member of the Armed Services Committee, said on Fox News. Well, you don’t use such word as “consequences” with the world’s largest nuclear power. Such words have helped inflame passions across the Atlantic, where anti-Americanism is growing. By ensuring Snowden’s safety, Russia is not only tapping into the growing support for Snowden worldwide, it’s also signalling future whistleblowers that they don’t have to rot in jail like Bradley Manning if they don’t want to. Snowden’s leaks have provided more information about American intelligence that no amount of FSB snooping could have provided – for money or love. From Russia’s point of view, this is as good an intelligence and PR bonanza as it gets. Gentlemen and ladies, this is the Cold War warming up and you have front row seats.